View all Shoutout messages posted on the LambWatch Shoutouts page on the 23rd January 2019. If you'd like to post your own message to the Shoutouts page, you will need to visit the LambWatch Shoutouts live page. 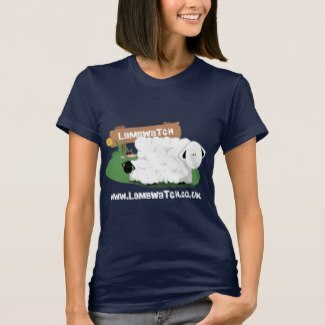 Spinners & knitters can buy LambWatch fleece & yarn. Lots of wonderful sheep gifts from mugs, shirts, calendars and games! 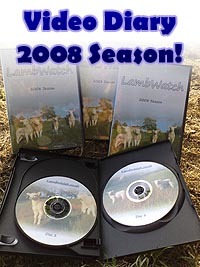 A video diary of what life is like at LambWatch HQ during a typical lambing season. 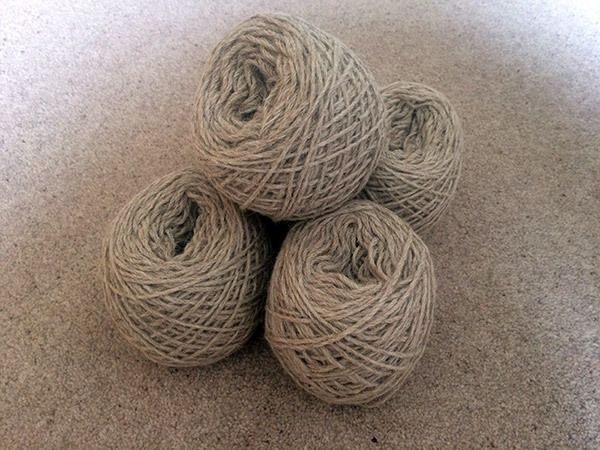 Unique artisan gifts made from the wool of our sheep. I've just given wispa some ivy . It's been suggested it will help kick start his appetite again as it's still very poor. Hi B, not really, they only really shake themselves when their fleece gets wet. Hello , Do sheep "fluff" themselves up - like birds when cold? They look fat and healthy. I hope Wispa is doing well. What a beautiful day there. I see you've had a bit of snow. Wet and messy here, wet snow and rain. Hoping for some more ! I like this,a sheep lying by the food trough ! Lovely sun rise, but very cold !